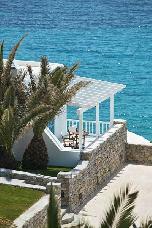 Santa Marina Resort in Mykonos is nestled on a secluded peninsula overlooking the beautiful Aegean Sea. 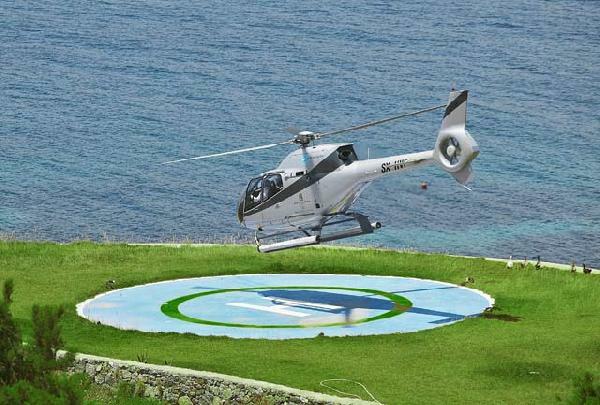 Only 3km away from cosmopolitan Mykonos town, discover a resort featuring 96 elegant guest rooms and suites, including villas with private pools. 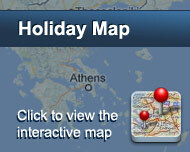 Once guests arrive in Mykonos, the overabundance of services and facilities ensures you never need to leave our resort. 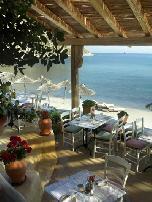 Experience at Santa Marina Mykonos Resort four tantalizing seaside restaurants with attentive services. Our Mykonos resort also features an exclusive 150m sandy beach, two infinity pools, a floodlit tennis court, fully equipped gym and the Lotus Spa offering a multitude of options to rejuvenate the mind and body. A distinguished member of The Luxury Collection, Starwood Hotels and Resorts, Santa Marina welcomes you to a resort unmatched in Mykonos. 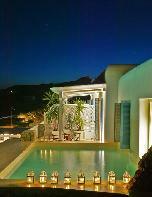 On behalf of the fine team assembled at Santa Marina Resort in Mykonos, we look forward to welcoming you. We commit our best efforts ensuring guests enjoy our resorts outstanding accommodations, facilities and services and have a most memorable stay on the island of Mykonos, at Santa Marina Resort and Villas. Santa Marina Resort in Mykonos preserves the traditional values of Cycladic architecture with luxurious accommodations nestled like a charming Greek island village above the sea. Faithfully designed with the subtle luxury of natural interiors, each elegant room and suite is afforded a thoughtful array of amenities such as truly inspiring sea views, private balcony or terrace and sumptuous marble or mosaic-tiled bathroom. With careful consideration to guest comfort, Santa Marina in Mykonos offers a genuine beach resort experience and aims to please the most discerning traveler. Classic Room - Deluxe Room - Classic (Junior) One Bedroom Suite - Deluxe One Bedroom Suite - Two Bedroom Suite / Maisonette - One Bedroom Deluxe Suite with Infinity Pool. All accommodations of the resort are equipped with: Air-conditioning - Interactive TV - DVD player (except Classic Rooms) - Direct-dial telephone and Voice-mail - Mini-bar - Mini-safe - Hairdryer, bathrobes, slippers - The Luxury Collection bathroom amenities - Private balcony or terrace with sea-view. Some balconies (size allowing, especially in suites and some deluxe rooms) offer sun lounges - Turndown service - Rooms and Suites are equipped with either with one King Bed or two Twin Beds - Some accommodations have a sofa bed, with single bed size, to sleep an extra guest comfortably - Baby cot is provided free of charge - Connecting rooms available upon request. Είστε ιδιοκτήτης ή διευθυντής στο SANTA MARINA RESORT; Εγγραφείτε τώρα για δωρεάν εργαλεία, που μπορείτε να χρησιμοποιήσετε για να βελτιώσετε την καταχώρησή σας και να συνδέσετε την ιστοσελίδα σας και το σύστημα κρατήσεών σας.